Whenever I get a new tablet, or look towards one, the first thing I do is get a good keyboard for it. Tablets have come a long way, and touch screens are amazing and all that, but nothing really beats a proper physical keyboard. 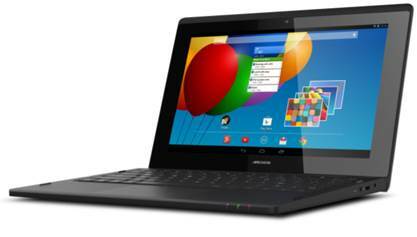 Archos know this, and hence they have just announced the Archos ArcBook, which brings to you a full mobile system featuring Android OS, with a built in keyboard, and additional short cut keys to make your work more efficient. The Archos ArcBook will be available in June, from under £139.99, and we will hopefully be bringing you a review as soon as it is out!